The only night launch in the Apollo Program, the last manned deep space mission of the 20th century. The Apollo 17 crew in their spaceship America departs for the Moon on Saturn V launch vehicle 512 on Dec. 7, 1972 at 12:33 a.m. EST. Like Barbicane and his two companion astronauts in Jules Verne’s fictional Columbiad spacecraft, which was also launched in early December, 107 years earlier: “At the moment when that pyramid of fire rose to a prodigious height into the air, the glare of flame lit up the whole of Florida; and for a moment day superseded night over a considerable extent of the country” (NASA photo 72-HC-894). 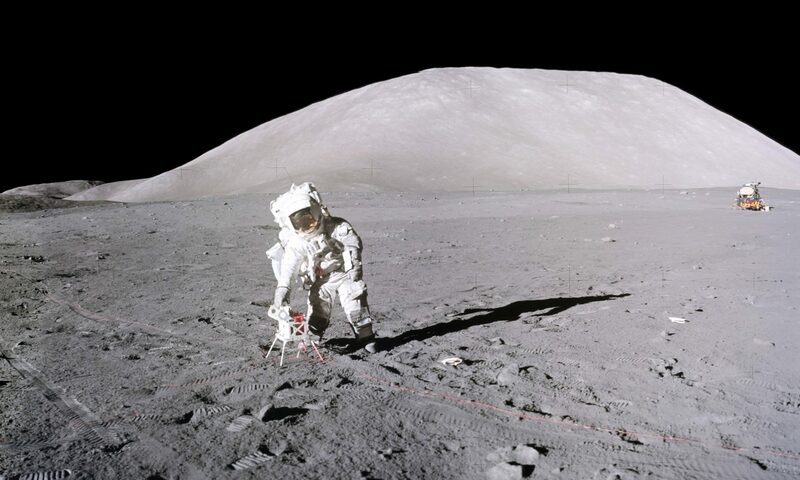 “30 Seconds and Counting” constitutes the second installment of Apollo 17: Diary of the Twelfth Man, commemorating the 45thAnniversary of the December 7, 1972 launch of the Apollo 17 Mission. It is Chapter 5 of the Diary with other chapters to follow as soon as time permits. It picks up where Chapter 4 left off with a hold of 2 hrs 40 min before the actual launch. Descriptions are given of the launch delay problems, the various critical stages of the launch sequence into orbit, activities associated with preparation for TransLunar Injection (TLI), and TLI and extraction of the Lunar Module Challenger from the S-IVB stage. To continue reading, click “6. Chapter 5…” under the main header in the “Pages” sidebar at upper right, or here.